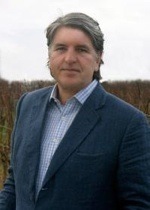 Peter Shakeshaft is the Founder and Chairman of Vin-X Limited, a specialist in Fine Wine Investment, offering portfolio management services specifically focused on creating rewarding fine wine collections for private individuals, companies, charities and other organisations. Qualified as a corporate financier with a twenty-year history in financial services, Peter previously specialised in funding and listing entrepreneurial companies with Enterprise Investment Scheme relief. He was the chairman of a financial services group based in the City of London, which grew to a turnover of more than £100million. Peter continues to work with growth companies, has been a majority shareholder in a logistics firm and through his business interests has helped young companies to employ over 500 people. A keen sportsman, Peter enjoys skiing, sailing and rugby, he previously held the post of Chairman of the British Bobsleigh Association and was formerly a board member of the National Olympics Committee at the British Olympic Association.